Remove front bumper fascia. Refer to Front Bumper Fascia Replacement. Remove the air conditioning compressor and condenser hose from the condenser. Refer to Air Conditioning Compressor and Condenser Hose Replacement. 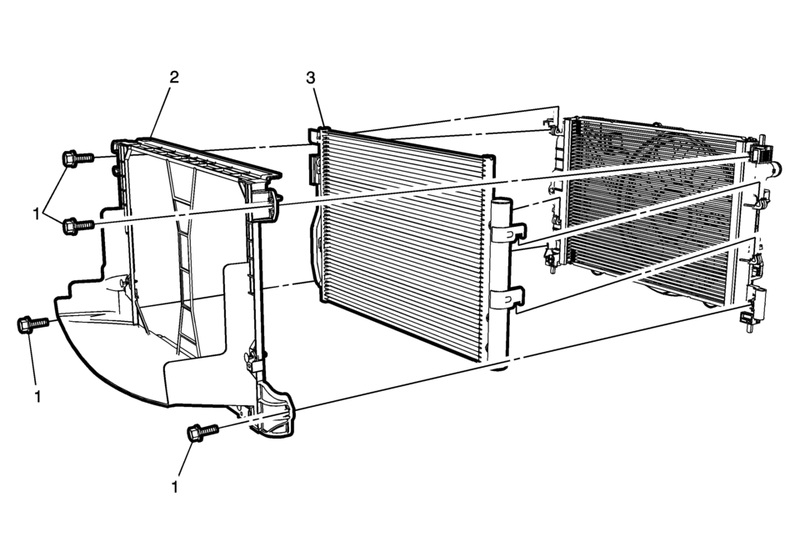 Unclip the air conditioning condenser from the radiator assembly.